View of our Caccia al Piano vineyard. Panoramic view of the vine-rows in our Le Grottine vineyard. The countryside that inspired poet Giosuè Carducci bears witness to the meticulous care paid to nature, the wisdom embodied in each operation, and the love for age-old traditions that mark the seasons and fashion the landscape. The Caccia al Piano 1868 vineyards, covering 18 hectares, are subdivided into three crus, Caccia al Piano, Le Grottine, and San Biagio. 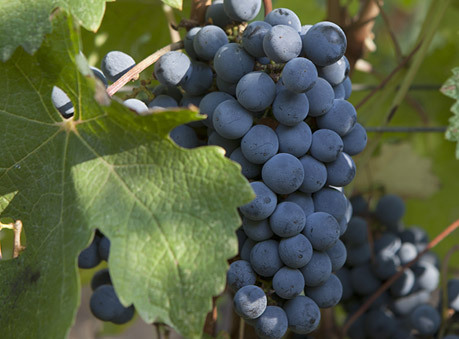 The optimal exposure enjoyed by the vine-rows and the innate qualities of their natural environment allow the grapes– Cabernet Sauvignon, Merlot, Syrah, Petit Verdot, and Cabernet Franc—to reach their fullest possible varietal expression. The vineyards, trained to the double spurred cordon system, are planted to high densities of 9-10,000 vines per hectare and rigorously managed according to eco-sustainable principles. The grapes are harvested exclusively by hand. 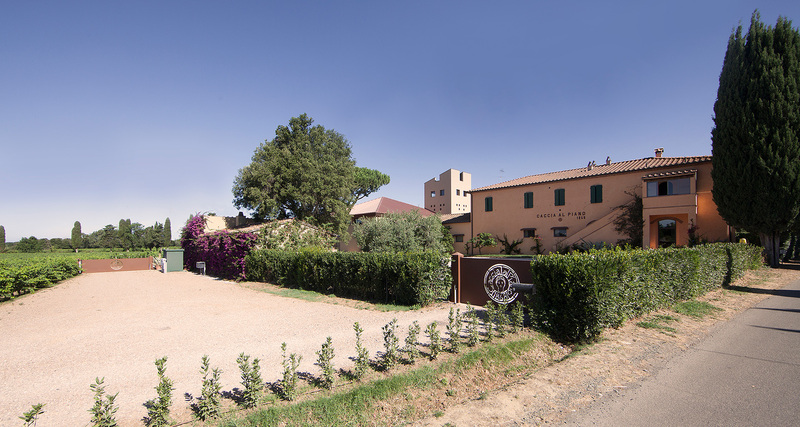 The agricultural operations, lying totally within the commune of Castagneto Carducci, comprise a total of some 30 hectares, of which 18 are dedicated to viticulture and 3 to centenary olive trees that still yield a notably fine olive oil. 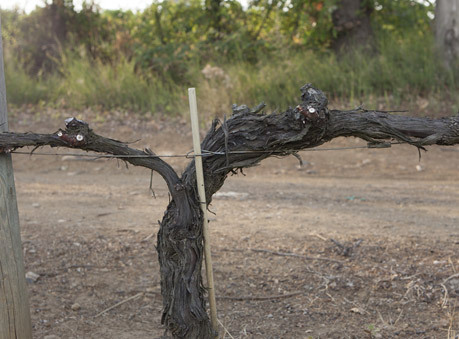 The age of the vineyards ranges from 13 to 18 years, and they are managed in such a way as to ensure a near-perfect balance between root system, canopy, and number of grape clusters. Soil Sandy clay, near alkaline, and rich in mineral salts. Soil Silt-rich clay, with abundant pebble admixture, with its reddish colour indicating high iron content. Size 12 hectares, subdivided into 7 parcels, at an elevation of ca. 210 metres.